The Muhammad Subuh Foundation is named in honor of the founder of Subud. The essence of Subud is the latihan kejiwaan, a training of the soul that was received by Muhammad Subuh Sumohadiwidjojo, affectionately known as Bapak (English: Father). The name Subuh has no relationship to the name Subud. Subuh means sunrise or dawn in Javanese. Subud is an acronym for Susila, Budhi and Dharma. Bapak was born in Central Java in 1901, where Subud first began in 1925. 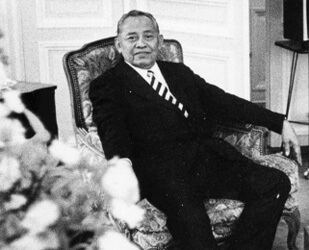 In 1957, Bapak was invited to England to introduce Subud to the West. Over the next three decades, Bapak travelled the around the world many times visiting Subud groups and giving talks that explained every aspect of Subud. Bapak encouraged Subud members to build schools, clinics, nursing homes and to help all of humankind both within Subud and in the world. Originally named the Subud Brotherhood International Foundation, in 1991, four years after Bapak’s passing, its name was changed to the Muhammad Subuh Foundation. 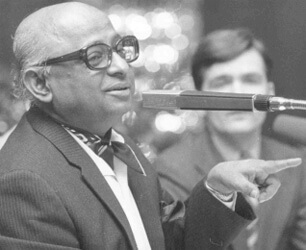 Varindra Tarzie Vittachi was born in Sri Lanka (formerly Ceylon) and educated at the University of Colombo. He began his career as a journalist and later served in a variety of senior United Nations positions for more than two decades. He retired in 1988 as deputy executive director of the United Nations Children’s Fund. He passed away in 1993 at the age of 69.